Pro-Life Senator Outsmarts The System To Debate Abortion! Pro-Life Senator Outsmarts The System To Debate Abortion! Good News Friday! Pro-Life Senator Outsmarts The System To Debate Abortion: We call it Good News Friday because it’s a chance for David and Tim to share some good news from across the nation and around the world. We don’t often hear good news from the media but here on WallBuilders Live we are about to share with you just some of the good things happening right now! Tune in now to learn more! Check us out at WallBuildersLive.com for more information, a list of our radio stations, and even some of our past programs over the last few weeks and months. It’s all available right there at WallBuildersLive.com. 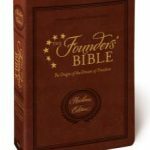 Then go to WallBuilders.com, our main website, where you can get all kinds of great tools that will equip you and your family to be better citizens, to be inspired to do your part to restore and preserve our Constitutional Republic. 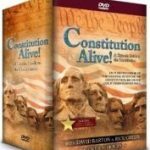 We’ve got great DVD programs there, Constitution classes, all kinds of great books, you can even get free articles right there on the website. Just a wealth of information. Check it out today at WallBuilders.com. 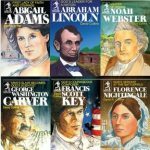 While you’re there, if you enjoy our program and you’d like more people to be able to hear it, if you’d like us to be able to continue this program and continue having great guests throughout the week, having our Foundations of Freedom Thursday’s programs where we take your questions and dive into founding principles, and then of course there is the Good News Fridays, if you enjoy all that then we sure could use your help. Go to WallBuilders.com today and make a one time financial contribution, or even a monthly contribution, that you can commit to over the next year. It will greatly help us expand the program and continue to bring this great program to you. Thanks for listening to the program, and for supporting the program, we appreciate your partnership in that way. Good news Fridays are something I always look forward to, because David and Tim collect good news throughout the week, then they share it with us on Friday, most of which you haven’t heard, certainly not from major media, but even from the more conservative outlets. So many of these things are just not covered, and I love finding out that the system works if we’ll work it. If we apply biblical principles, if we apply constitutional principles, then we see victories in communities and states all across our nation and we see it in the culture and that’s what I love hearing about. So David, Tim, I’m looking forward to good news today, so let’s dive right in. David has got our first piece of good news. Well, it deals with public perceptions and it deals with what the media often tells us. I was just watching a review aftermath today—you go back a few weeks ago, President Trump did the speech on the border wall and needing border security, et cetera. If you saw in the first two or three hours, and even while the speech was going on, all these major news outlets came out with their fact checking. And within two hours all of those were gone, because they’re fact checking showed the fact checking was wrong. One of the claims he made was that if you’re in that caravan, one out of three women stand a chance of being raped. And here comes New York Times saying that’s false. Well, they were right. There is 60 to 70 percent chance of being raped. It was interesting, the public perception that they yell out is wrong, and it actually turns out facts from the other side. I even saw one where the fact checker said he was wrong about something he didn’t talk about. Why does that… How could….? I don’t imagine the Washington Post, it was just utterly ridiculous. It’s like, “OK, you’re trying way too hard.” You’re right. They’re fact checkers. It’s just that there was an obvious bias because they weren’t actually checking the facts. They were saying what they disagreed with. That’s not fact checking. Newsflash, media. That’s not how fact checking works. The particular piece had a lot of the—they’d captured with screenshots all these fact checking things that came out immediately afterwards, and how they’d all been pulled down off the web. So they still had the screenshots to show, but the fact checkers proved to be completely erroneous. You’re right, Tim, it was, “I don’t believe that, so I know that’s a wrong fact.” And then when the fact checkers actually checked the fact, it turned out the commentator was wrong and the President was right. 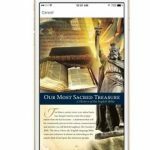 We even talked on last week’s Good News Friday about how, when you look at the public out there, and advertising centers, you would get the sense that we are a really, really secular nation, and yes, 71 percent of the people said religious faith is very important in their daily life. Only 15 percent said it wasn’t. So you look at what’s in the public perception, you would think the 15 percent is 100 percent of the media, except for individuals here and there like us, who we must be different from everybody else because we don’t see ourselves as secular. How Many People Are Considering Running? So one of those now deals with presidential campaigns. So when you look at what American people want in a presidential candidate—and by the way we are in full presidential campaign season right now—How many people do you think have expressed a serious interest in running for presidency or doing some sort of exploratory committee? Well, that’s Tim’s guess, what’s yours? I’m going to do the prices. I’m going to channel my inner Bob Barker here, and I’m going to say thirty nine. So anything less than forty, I win. Wait a minute, no, no, no. You still would have overbid. You’re supposed say one dollar. Oh, that’s right, one and then anything. You’re right. He said you can either go one over me, or one. We got to help your TV watching. Well, where is Bob when I need him? I’ll go with one. Neither one of you are even on the right planet. That’s not true. I’m on Earth. Do I need to say 41? Well, the news I’m going to give you must not be from Earth, because the current number looking is 456. What Do Americans Want in a Presidential Candidate? Guys, did I mention I’m Currently looking as well? Because I have a great Moratorium Committee, and wondered why I have an exploratory committee to see who will pay me money to run, or not to run. I really don’t care. But if you’ll pay me some money, I’m just looking into it. Whatever I get the most money for, that’s what I’ll choose. I’m going to follow their lead. So if you go with the media narrative, what do you think it is the people are very concerned about, generally, in terms of their next president? Is race an issue, is gender an issue, is faith an issue? What’s an issue? Demographic of the candidate themselves, not their beliefs, but on the personal immutable makeup of that candidate. Oh, like one of their qualities? Yeah. Let me be more specific: given the climate we have that appears to be very far progressive left, where gender is very important, and race is very important, how important do you think gender is going to be in the vote of the next election? Not as important as the media portrays it to be. We could have started this whole conversation and I would have said that. I think one of the things that we are seeing is that the progressives are overplaying their hand so much that it is going to drive people who were relatively in the middle, they’re being so extreme, that it’s going to drive them the other way. I don’t think they are building the wave of momentum they think they are, at least when it comes to this issue. Now, there’s other issues we could talk about with this issue. I think they’re driving more people away than they are bringing toward them with how ridiculous they are being. That’s still, as you have to add Democrats, that means half the Democrats don’t think gender is important, and that is if 100 percent of Republicans said so. So when you’re looking at 76 percent of voters that do not think gender is an issue for the next election, only 12 percent of voters said that gender is an important issue. So I would say gender, yes, it’s important. So you would have answered it based on the fact that gender is important, meaning there’s only male and female, not whether the candidate is male or female. Correct. So that turns out to be some really good news. Again, what the media is portraying, what advertising is portraying, what the tone that comes out in the culture is, is not what’s really happening. Now that’s sure to criterion. I don’t think it’s going to poll well. I know. That’s not what the people think. They’re not on board with her at all. And again, 76 percent do not think gender should be an issue in whoever is there as their candidate. So again, America appears to be much healthier than what we hear from the loud voices. But that’s what we’ve got to get used to, is loud voices don’t represent the people. At some point this stuff will come out and we’ll find we’re healthier than we think we are. Quick break guys. We’ll take just a moment here, then we’ll be right back. We’ve got more good news for you folks so stay with us. You’re listening to WallBuilders Live. Welcome back. Thanks for staying with us here on WallBuilders Live on this Good News Friday. Tim Barton’s got our next piece of good news. Tim? Guys, this is one that I have not paid much attention to, at least to the level of what the article points out. It’s the Seven Most Significant Religious Freedom Victories of 2018. And certainly in Good News Fridays, we’ve talked many times about victories when it comes to religious liberty. But this is a very interesting list of the seven most significant, at least according to this article, what they view to be the seven most significant, and they really are significant issues. So let me just read you the seven things, and explain a little bit about what they were and why it’s a big victory. But you have things, like out in California. It was the National Institute of Family and Life Advocates vs. Becerra—and I’m probably pronouncing that city wrong—but California passed a law that forced pro-life pregnancy centers to advertise for abortions. The U.S. Supreme Court struck down the law and said that the government cannot force Americans to express messages that violate their deepest convictions. The second one is Jack Phillips. He’s the one who has the Masterpiece Cake Shop. He’s the one in Colorado, and he was facing fines, a loss of business, and all these things because he didn’t want to create a specially designed cake advertising and promoting something that he thought was wrong. The U.S. Supreme Court overturned the state’s order that forced Jack to create art that violated his conscience, and found that Colorado had been neither tolerant nor respectful of his religious beliefs. So Jack Phillips and the Masterpiece Cake decision was the second one. The third one is from the state of Washington, and this is Burnell Stutzman. She was a florist, has a shop called Arlene’s Flowers, and she was going through something very similar to what Jack Phillips in Colorado went through. So that’s a third one. Then the fourth one is from Kelvin Cochran, and he was the fire chief from Atlanta. He was part of the Obama Administration for a little while, and he is the guy who was fired as the Atlanta Fire Chief because of a men’s devotional that he wrote. In that devotional he upheld biblical principles. In October 2018, the city of Atlanta agreed to pay him one point two million dollars because a federal court ruled the city had violated his constitutional right to free speech and his freedom of religion. So Cochran wins that case as a fourth one. And these are college students, mind you. But they were supposed to put up warning signs. The university has since retreated from that position. The ADF got involved, an Alliance Defending Freedom, the law firm that we have had on this program many times, they got involved. The school revised their policies to recognize free speech rights to all, regardless of their viewpoint. The school’s reversing their policy, that was the fifth major religious liberty victory. Another one, very similar, from Ball State University, same thing. There was a pro-life club, and they were told that they couldn’t have opportunities to get funding for different events they wanted to do because—and this is from the campus—because they advocated for pro-life. And the last one was a church from Monroe, North Carolina. Monroe, North Carolina passed a policy where churches were only allowed to go in one of the four sub districts. And if they already had facilities there, they were kicked out of those facilities. Certainly, that’s unconstitutional. Nonetheless, there are some major, major victories when it comes to religious freedom that happened in 2018. Some of these got covered, some of them not very big, but these are precedent setting cases that will make a difference for all religious liberty in the future. That is an incredible list. I know you had limited time to go through those. We could have just done a whole program on each of those and the ramifications, the positive ramifications, that would come from those victories. Incredibly good news. Got to take a break, guys. Be right back. Stay with us folks. More good news here on WallBuilders Live. Welcome back to WallBuilders Live. Thanks for staying with us. We’ve got two more quick segments for Good News Friday today, but there is more on our website at WallBuildersLive.com, so check it out there. David Barton’s got our next piece of good news. I’m going to go to Australia for a moment because of something that happened there. Australia, like every other nation, is having debates over abortion, and having debates over marriage, and having debates over all the things that are biblical values. In the debates over abortion, there is a senator in Australia, Barry O’Sullivan, and he is pro-life. Whenever he argues for any kind of pro-life position, or any restrictions on abortion—even on late term abortions—and by the way, even pro-abortion people support restrictions on late term abortions, they think that’s over the pale. You’re not being genuine. Well, who were you to say I’m not genuine? Exactly. He declares himself to be a woman, and they all shut up because you can’t say he’s not. So he gets to speak against abortion, just as male as he can be, but they can’t stop him. I love this, because in Luke 16, Jesus is talking to disciples and He laments the children of this world are more shrewd and using their minds than children of light. Well, that’s one time where you have one of the good guys using his brain in a very good manner. It’s just a great story coming out all Australia. All right, quick break. Time for one more piece of good news when we come back. Stay with us. You’re listening to WallBuilders Live. Welcome back and thanks for staying with us here on WallBuilders Live. Good News Friday today, getting as much good news in as we can. If you want more after today’s programs, go to WallBuildersLive.com, click on the archives section, and you can go to some of those previous Friday programs. Tim Barton’s got the next piece of good news. Guys, this one’s from Iowa—and I applaud whoever came up with this—this is awesome. The title of the article says: Iowa School District Adds Hunter’s ED Course to PE Curriculum. Now this is, I think, just brilliant. Wait a minute, guns in school?! We’re talking guns in school?! Brilliant. Now, granted, when I took my hunters ED many years ago, we used BB guns. So how do we define gun? Is a BB gun really a gun? Yes, kind of like Nerf guns. Anyway, we digress on that point. In Iowa, there are two school districts that have made hunter safety part of their PE, physical education, class curriculum. It is mandatory for all seventh and eighth graders in PE, and it’s optional for all those from 9th through 12th grade. Now for any hunter, before they can get their hunter’s license, they’re required to have a hunter safety course to make sure they understand how to be safe with a firearm, to understand what conditions they can use the firearm, and some basic boundaries and guidelines. And we will point out that parents also have the option of opting their kids out of the training, which I think is still great. I also support that you have a school district that recognizes, “Let’s try something different,” and by different I mean something that we did for generations and decades and hundreds of years in America, but that we haven’t done in the last couple of decades. And certainly, Rick, one of the things that you guys as a family do quite often is go to Front Sight. We have made a couple of trips to Front Sight. We kind of own our own Front Sight though. Yes. So Front Sight is a firearms training facility. So what you’re referencing is we do have many steel targets. We do have many shooting locations like that on our properties. But the point is we have long recognized the value of firearm training and of responsibility when it comes to firearms. Smart folks, man, they really are. You’re exactly right. The more educated you get, the more experience you have. And even parents out there, think now about how you’re going to teach your children. If you just avoid the subject, or you just act like guns are all bad and you never teach your child these things, they’re going to be so curious the first time they go over to some friend’s house and stumble across a gun, and that’s how accidents happen. So the best thing you can do, even if you don’t like guns, the best thing you can do is find a good program in your community, or as Tim’s mentioning come out with us to Front Sight, but go somewhere get your kids and go somewhere and get them trained at a young age. 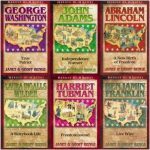 It was Richard Henry Lee that talked about teaching them when they’re young. That’s the best time to do it. 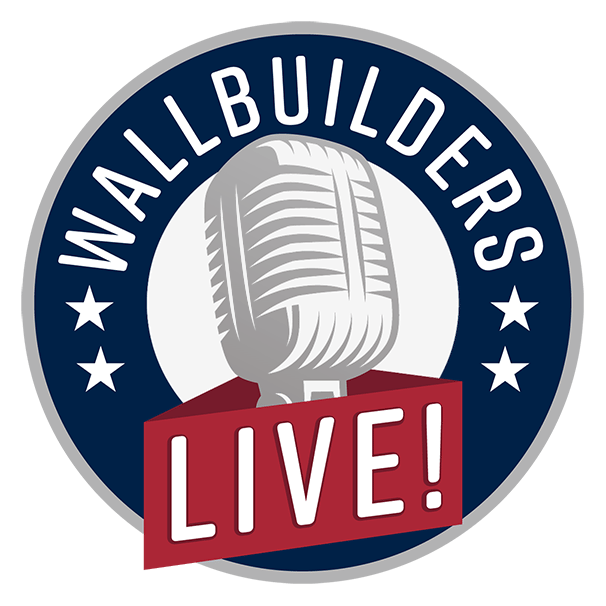 Pro-Life Senator Outsmarts the System and More at WallBuilders Live! John Quincy Adams, too. He wrote a letter back to his brother when he was overseas saying, “Hey, my kids are 10 years old. Make sure you really drill them with guns,” because he pointed out that the most gun accidents he knew about came from those who didn’t know how to handle guns properly, and so he wanted those kids trained. Well, even Thomas Jefferson wrote that one of the best exercises you can have is to exercise in firearms. Because it’s not just something you do bodily it also encourages the mind in the emotions and a level of maturity and responsibility. 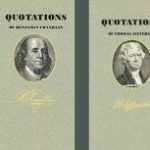 So the founding fathers wrote a lot about this kind of stuff, certainly rings true today. No doubt about it. And folks, there’s opportunities coming up to go with us to Front Sight. Be sure and check out my website today at RickGreen.Com and you can learn more about those upcoming trips. We sure appreciate you listening today. Be sure to go to both our websites, WallBuildersLive.com and WallBuilders.com, and at either one please consider a one time or monthly contribution that will help us to continue the program, to spread it far and wide, and get in front of as many citizens as we possibly can so we can equip and inspire them to help save the Republic. Thanks for listening to WallBuilders Live.